It all seemed so vast back on Memorial Day; the carefree, endless days of summer. In reality, however, they are sliding by at an alarming rate. Enjoy these top 14 things to do this weekend in the greater Valley Forge and Montgomery County area... Before it&apos;s too late. It&apos;s the event of the summer! For the past 55 years, this four-day musicpalooza draws folk fans from across the U.S. for a huge lineup of A+ performers. 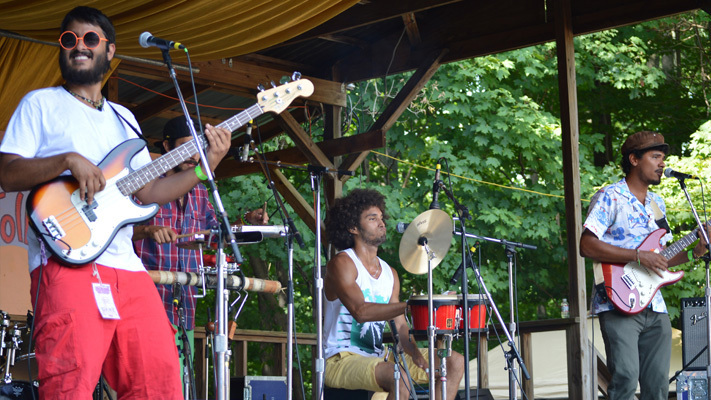 Folk Fest is also a perfect family event, with puppeteers, jugglers, aerialists, storytellers, hands-on crafts and of course, kid-oriented musicians gathering in Dulcimer Grove, the shady area that has become a haven for folk fans 12 and under. The 12-acre Old Pool Farm also permits camping, and the grounds feature numerous places to buy food and music-related merchandise. 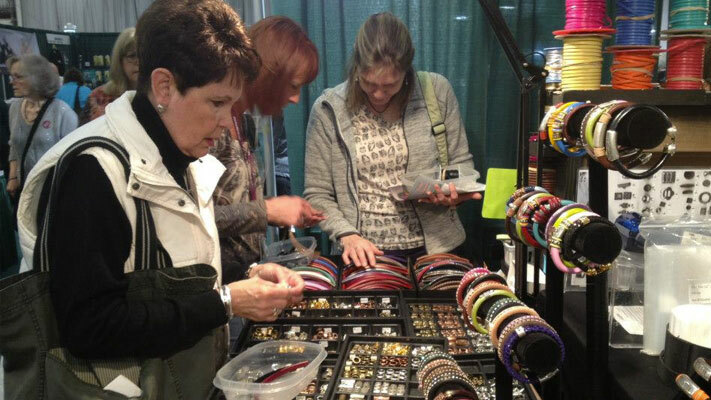 The Greater Philadelphia Expo Center gets extra sparkly and spangly this weekend with the ongoing Interweave Bead Fest. This all-day event (August 18-19-21-22) is a crafter&apos;s dream: More than 100 jewelry-making workshops; more than 150 booths in the marketplace; daily 45-minute educational sessions, targeting beginners; demonstrations, door prizes and book signings. Come and get wired for this engaging and artistic hobby. This heartwarming drama revolves around a terrible choice an ailing father is forced to make: Which of his three best friends represents the best guardian for his daughter after he is gone. 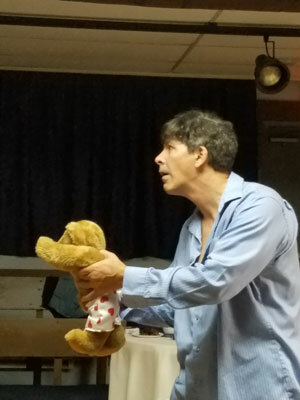 Presented by Playcrafters of Skippack, this sweet tale is a memorable tear-jerker, but it has audiences smiling from time to time as well. Live music, great food, winery tours and plenty of sampling are what this food truck festival at Chaddsford Winery are all about. Eight stellar trucks will be onsite, tempting palates with everything from chicken and waffles to Polish pierogis to crab cakes. Personally, we&apos;re squealing for the pulled pork BBQ sandwich topped with apple slaw from The Plum Pit. 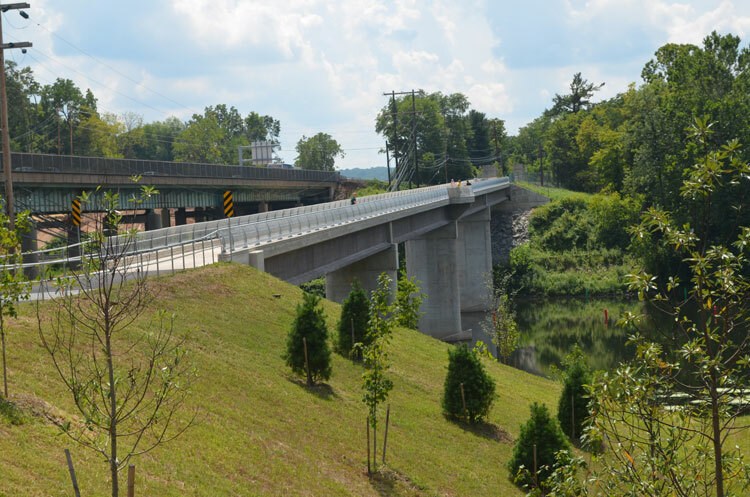 Sullivan&apos;s Bridge - the spectacular trail access into Valley Forge National Historical Park - has its ribbon-cutting on August 19, meaning that this is its first weekend for runners, walkers and cyclists to enjoy. To mark its addition to the numerous Valley Forge assets, Schuylkill River Towns is throwing a party on August 20 from 10 to noon. Enjoy a free bike rental, special tour options, music and food. Sullivan&apos;s Bridge into Valley Forge isn&apos;t King of Prussia&apos;s only exciting opening this weekend. The long-awaited expansion of King of Prussia Mall has been completed and is now ready to receive shoppers from all over the county, the state, the nation and yes, the world. See it for yourself when the mall opens at its normal hour of 10 a.m. on Saturday (11 a.m. on Sunday). As you enjoy the new stores, new restaurants, new concierge service and new parking garage, make sure to check out all the shopping in the county at shopmontcopa.com. Sponsored by the Spring-Ford Chamber of Commerce, the Limerick Community Day is being held August 20 from 11 a.m. to 3 p.m. This full day of exhibitions, music, games, food and community-building takes place in Limerick Community Park, whose Mandarach Playground is a local favorite. The double-tube slide at the park draws kids from across the county, eager to zoom down an enclosed slide with plenty of turns to send them careening. The expo area will feature our Make It Montco kiosk, giving out freebies, as well as extensive tourism-related information. To celebrate winning Best of the Philly Beer Scene for "Best Homebrew Store" (Keystone Homebrew Supply) and "Best Hard Cider" (Stone & Key Cellars) the two brewers are throwing a customer appreciation party. This family-friendly event includes a bounce castle for the kids, as well as plenty of tasting opportunities. Food (courtesy of the Pots and Pans Catering truck) and music will keep spirits high. Kevin Meaney has been one of the country&apos;s most popular standup comedians for more than 25 years. Tom Shales of the Washington Post said, "Picture the precocious love child of Jonathan Winters and Ethel Merman and you have some idea of Kevin Meaney&apos;s act." Meaney takes the Act II Playhouse stage for one night only, which stands a very good chance of selling out. So comedy fans should act fast. Brush up your bushy moustache and come out for HmfO, a top-rated Hall & Oates tribute band. Considering their local roots (Daryl Franklin Hohl was born in Pottstown), this concert will be very popular with fans, especially given the great acoustics and performance space at the Ardmore Music Hall. Come on down to Elmwood Park Zoo for an afternoon of country-themed fun 1-4 p.m. Andie Summers will host a live broadcast on 92.5 XTU, providing a good-ol&apos; sound to the special games, crafts, raffles and animals. Live performances are from Amanda Nolan, Lenny Martelli and Zodiak Jack. Country Fest is free with paid zoo admission. It&apos;s time to turn back the clocks. Philly Rock & Soul is a nine-member band, focused on playing classic from the ‘50s to the ‘80s. Starting at 7:00 p.m. at Green Lane Park, be sure to bring your blanket or chair to comfortably enjoy this free performance and let the music remind you of simpler times. Get ready to explore the open waters. Starting at 2 p.m., Lorimer Park hosts a guided adventure down two of its streams. While traveling down the rivulets, keep your eyes peeled for aquatic insects, fish and amphibian species. Get first-hand knowledge of these creatures and experience their habitat. This Rolling Stones tribute band has been to Las Vegas and back, recreating a sound that has driven more than 50 years of classic hits. And now it headlines at Sellersville Theater. Rolling Stone Magazine gushes that Satisfaction is "...one of the best tribute shows in the world." Come and see for yourself, and show off your Jagger-swagger. With the summer sliding by, maybe you yet have had the chance to schedule your "official" vacation. Instead of facing the crowds at the shore or the mountains, why not book a couple days in one of our premier hotels in Montgomery County? You will not only be surrounded by luxury and comfort (and most likely have the pool to yourself!) but also have easy access to amazing restaurants and a jam packed calendar of things to do.